Front and rear suspension featuring aluminium front and rear shock absorbers, aluminum cell reinforcements, aluminium reinforcing bar supports, all mounted on new Monster sized tires (132 x 57mm). Out of the box the vehicle comes with differentials front and rear (metal gears) and an adjustable central slipper, full-size aluminium shock absorbers and CVD type driveshafts at the front complete a transmission composed of steel driveshafts and fully ballraced. An aluminium chassis and side protection mudflaps allow the vehicle to withstand all race conditions. 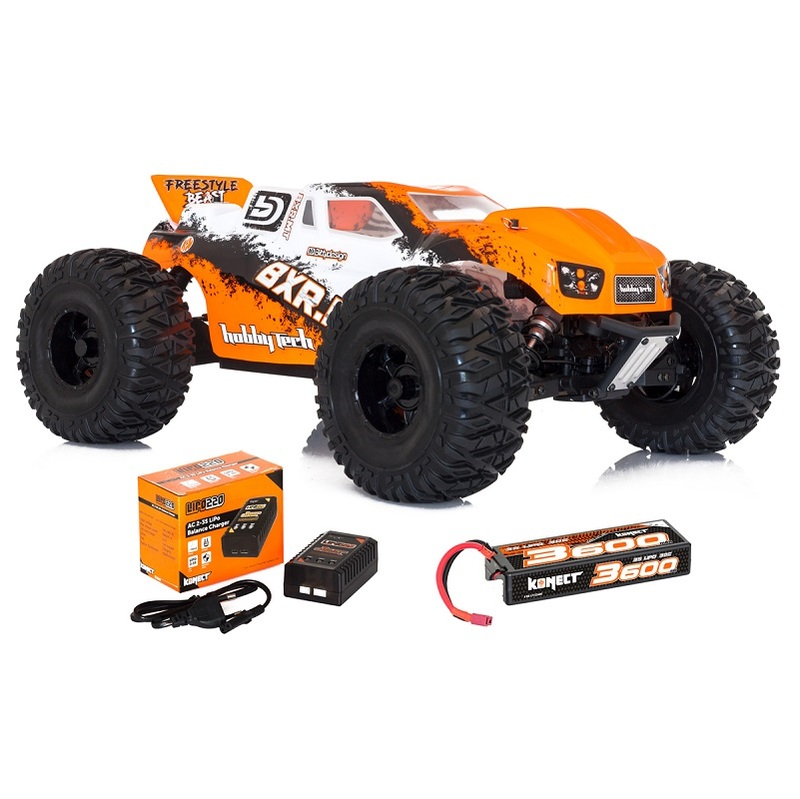 Powered by a 50 Amp waterproof speed controller and a 3500kv brushless motor for maximum power and peak speed.